The Business Uni is run by Susan and Rob Banfield, innovation and marketing specialists, who help businesses overcome overwhelm, get clear on their goals and grow their business. 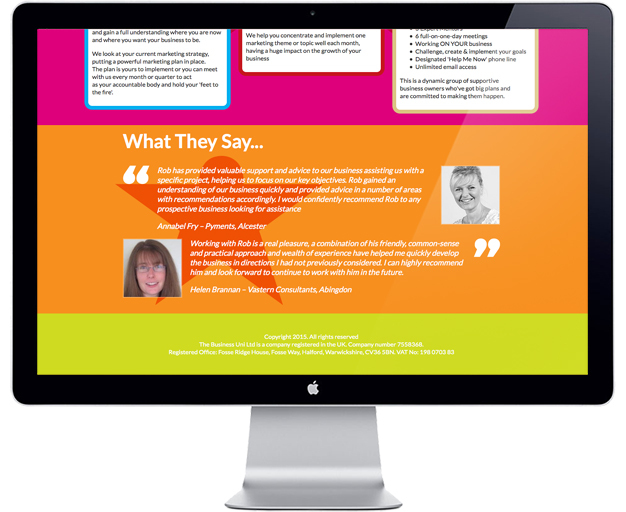 They were looking for a website to communicate three of their core service offerings in a clear, colourful and friendly way. We used their logo mark and brand colour palette to create this colourful, fun website design that is clean and modern. 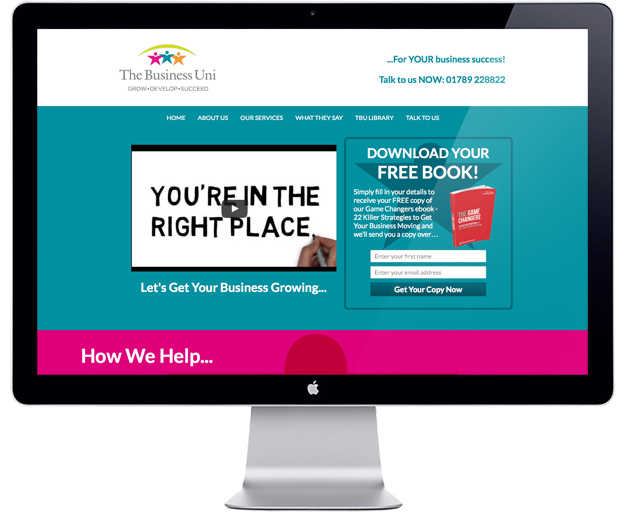 The Business Uni website was designed with Redwax.